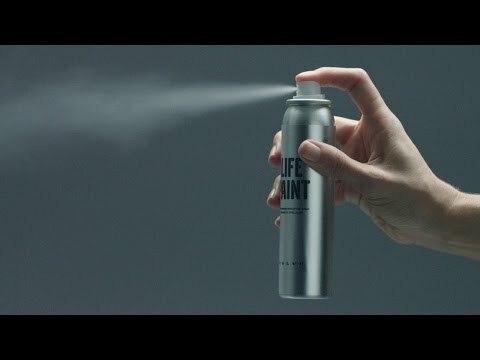 Volvo Cars LifePaint is a unique illuminating safety paint which is invisible by daylight, but in the dark reflects light in the same direction as the light source, shining brightly to illuminate the objects it has been sprayed on. Volvo Cars LifePaint is transparent and can be washed off. It can be applied to clothes, shoes, helmets, pushchairs and children’s backpacks – even dog leads and collars. Its aim is to make the invisible visible at night. Watch the video for more on Lifepaint. Sentinel Volvo is one of the selected retailers of the Lifepaint in the country. Get in touch with us now to purchase your spray can of Lifepaint. Each can cost £12 + delivery charges (if applicable). Delivery worldwide is also available. Call us on 020 3319 3536 or use the form below. If you have any questions about Volvo Lifepaint, please refer to the Q&As section.